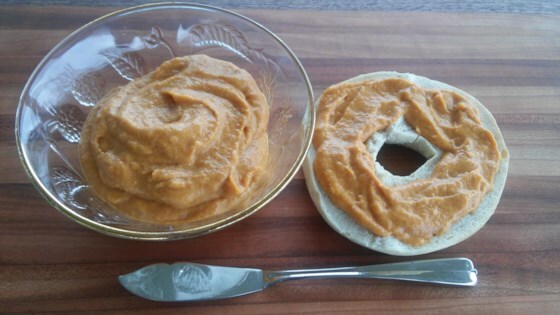 "Great pumpkin dip for the holidays and everyday. Can be served with gingersnaps, graham crackers, apples, pears, and more! Refrigerate the pumpkin dip until ready to serve." Blend cream cheese and confectioners' sugar together in a large bowl until smooth. Stir in cinnamon and ginger until color is even; mix in pumpkin puree until dip is thick and creamy. I doubled the cream cheese and used pumpkin pie spice instead of cinnamon. This was fluffy and I could eat it by itself, but it was especially good as a dip for apples and graham crackers.